'Facebook Games Arcade' domains : Where the real money is! :DomainGang 'Facebook Games Arcade' domains : Where the real money is! Online gaming is a huge global market, expected to cross $100 billion dollars in revenue by the end of the decade. Domain registrars such as Uniregistry and Rightside are already positioning themselves with the upcoming launch of .game and .games respectively. But will there be enough space to compete once Facebook jumps in? 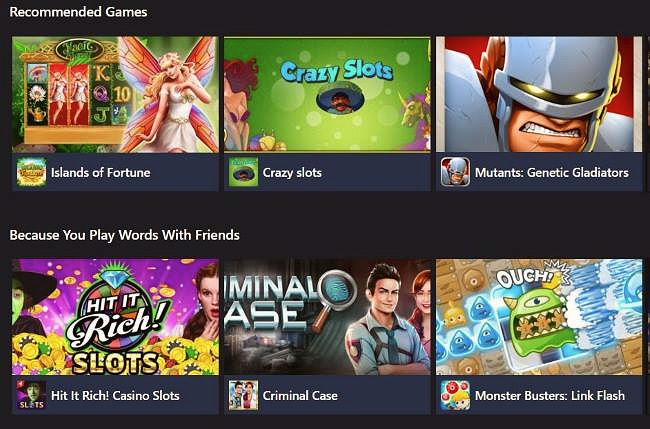 Already owning a large percentage of Virtual Reality space with the acquisition of Oculus, Facebook is upping the ante with the Facebook Games Arcade, currently in beta form as a Windows 10 app. Facebook Games Arcade beta app. The platform will allow users to play their favorite games on their desktop, without accessing Facebook, but we’re certain the interaction with Facebook and Messenger will be unavoidable. All these domains were registered yesterday, according to DomainTools. You can view a video of the beta version of the Facebook Games Arcade being installed, below. The app has been rolled out globally, so you might receive a prompt to join the beta program, soon. Looks like another soon to be successful launch for Facebook. I turn down more game request daily on the social site but might be guilty of playing a few myself on a semi regular basis.